See scan - absolutely perfect condition. 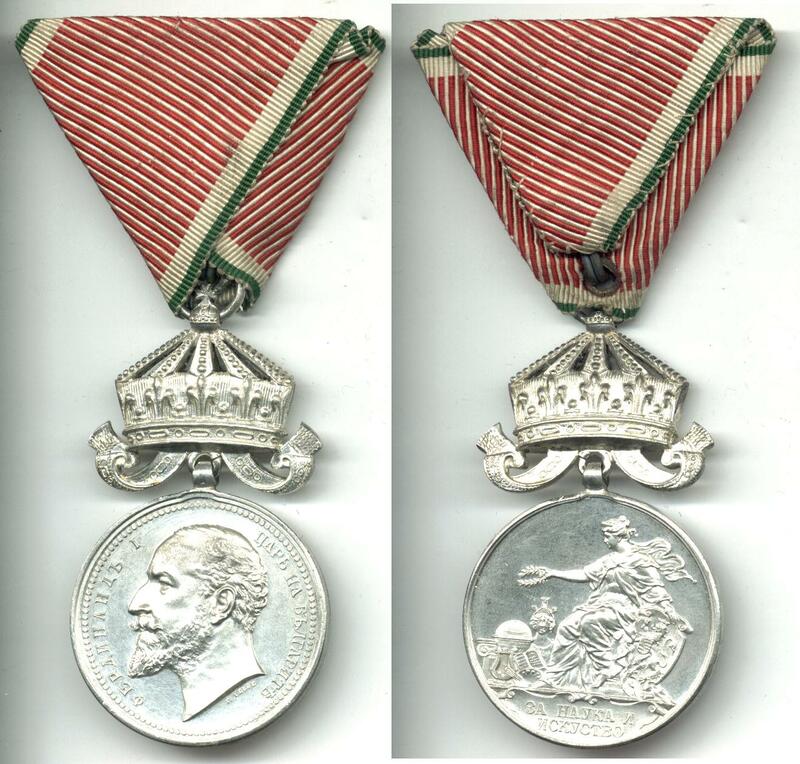 This is the extremely scarce Bulgarian Royal Art / Arts and Science sterling silver medal - King Ferdinand I issue with crown and original ribbon. 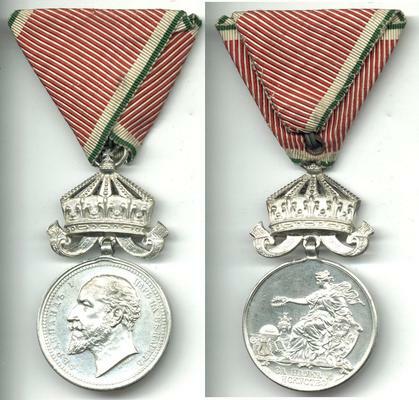 Marked / Hallmarked on rim - SILBER 890 and medal also bears signature of the artist and author of the design - P. Telge under the bust portait of the King at the obverse of the medal. Only about 20 or so such pieces have ever been awarded and throughout its 70 year history of this medal and 3 kings - only a total of 300 medals of ALL issues have been awarded and this includes those awarded during the Regency period... This 1908 Ferdinand crowned issue of the Arts & Sciences Medal is one of the rarest and scarcest Bulgarian medals to exist. So far we know only of 2 or 3 other such pieces to exist in private collections. 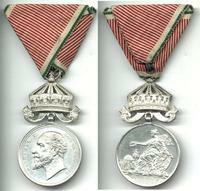 Absolutely scarce militaria / military and historical collector piece and one of the rarest Royal Bulgarian medals.